Jeevan S Nair Assistant Professor, Department of Paediatrics, Mount Zion Medical College, Chayalode, Ezhamkulam, Adoor. Background: Fetal growth is independent of the number of fetuses until approximately 30 weeks’ gestation, after which growth of multiple gradually falls of compared with singletons. IUGR is defined as an estimated fetal weight (EFW) less than third percentile for gestational age or an EFW<10th percentile for gestational age in addition to evidence of fetal compromise. The mechanisms are likely uterine crowding, limitation of placental perfusion, and anomalous umbilical cord insertion. Monochrrionic twins are more likely to the IUGR compared with dichorionic twins and have higher perinatal mortality. 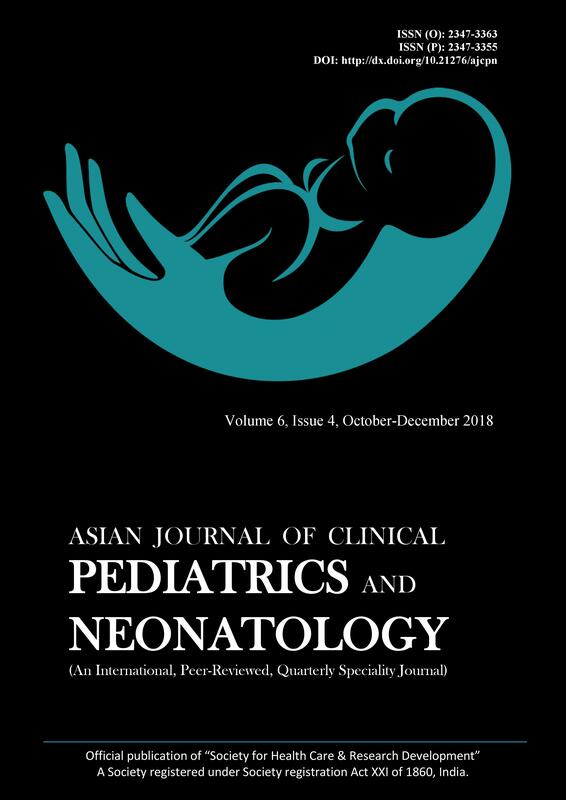 Neonatal mortality was more in vaginal delivery 90% that may be due to the increased preterm and low birth weight in this group. Natal complications were more in vaginal delivery. Out of the variables studied, significant influence on neonatal mortality was seen only with discordant twins. Subjects and Methods: This study was carried out among multiple gestation pregnant ladies got admitted at a tertiary care hospital. This was a prospective study. Results: Neonatal mortality was more in vaginal delivery 90% that may be due to the increased preterm and low birth weight in this group. Natal complications were more in vaginal delivery. Conclusion: Out of the variables studied, significant influence on neonatal mortality was seen only with discordant twins.